“We are celebrating our anniversary by kicking off with fun spring agarments in organic cotton to liven up the winter darkness. Our anniversary will be filled with a variety of surprises and playful stripy happenings such as birthday parties and more playful collections throughout the year” says Karina Lundell, Head of Design at Polarn O. Pyret. 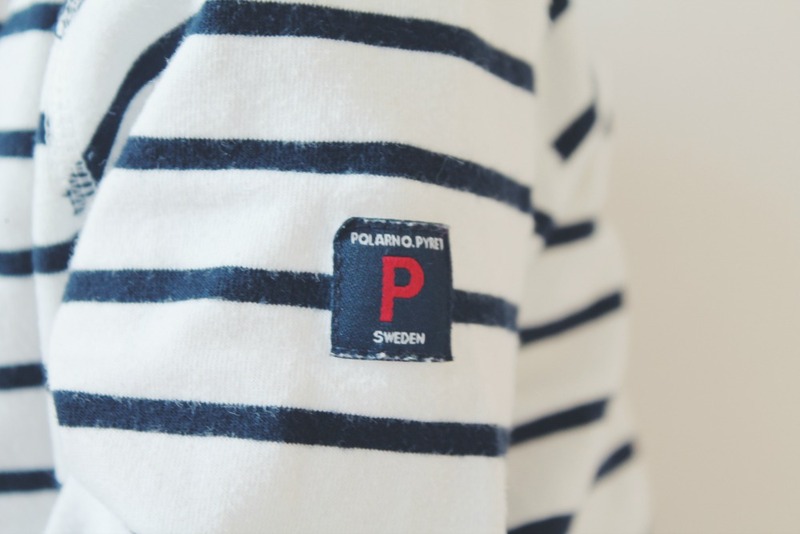 Over 30% of Polarn O. Pyret's range is made with the softest organic cotton whilst the brand also prides itself on challenging gender roles by creating clothing in unisex colours and patterns. This along with being carefully designed to withstand wear and tear means that they can be handed down to younger siblings easily. All of their range has been designed with family life in mind. Small details like adjustable waists, cuffs that can be rolled down to allow room to grow and babywear that can handle hot wash after hot wash make all the difference and mean these clothes will last. I know only too well how much wear and tear my children put their clothes through! 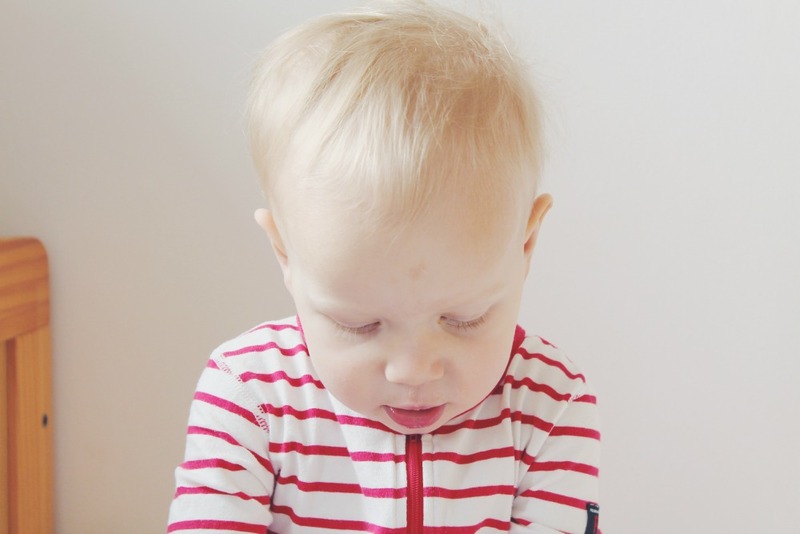 The boys have cute coordinating Polarn O. Pyret striped onesies from the PO.P Originals collection - Little N's is in classic blue while J's is vibrant red. These lovely pyjamas are made with organic cotton which is so soft and the ribbed cuffs which stop their sleeves or legs riding up whilst they sleep. These cuffed pyjamas were invaluable when Little N recently had a skin infection as it stopped him from being able to scratch his skin in his sleep. The cuffs are also foldable for added growing room, something which is really useful with my boys currently shooting up like bean stalks! They can be washed at 60C if needed; I haven't needed to put them on a hot wash so far, but they've been washing really well at 30C and 40C with no shrinkage or colour fading. Polarn O. Pyret are more than just stripes though; they have lots of fun, bright patterns and designs, which are all suitable for boys and girls and can be mixed and matched. I expect that J will be wearing Little N's old PO.P clothes in a few years' time because they're certainly made to last. This is something that's really important to me - not just because of saving money but also because I'm so aware of my impact on the environment. When clothes can be reused it reduces the amount of waste going to landfill as well as lowering pollution caused by the production process. Polarn O. Pyret have 160 stores worldwide including 17 stores in the UK and Ireland as well as their own website. You can also find them at John Lewis and House of Fraser. What are your favourite childrenswear brands? I was kindly sent the Polarn O. Pyret onesies for review. First time hearing about these guys and I love them already. Love the onesies, designs and colours.